I haven't hooked to the scanner up to the new computer. I should. It took me something like 3 years buy a new scanner, and then another one to start using it..
Wow, you have a lot of really lovely stuff. I have some from a children's book illustrator relative, and a tattoo artist friend, but I'd have to go track it down, not sure where they are right off. Plus it'd be hard to show the tattoo artist friend's stuff I think since he'd usually decorate around my name. 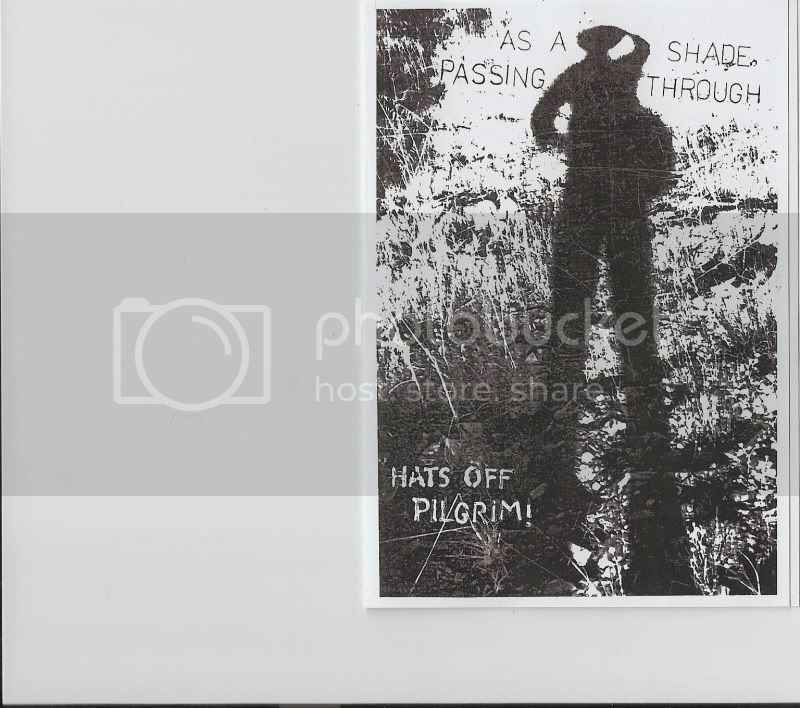 I like this one - the theme of shade, shadows and pilgrims passing through - very appropriate for the end of one year and beginning of the next, I think. 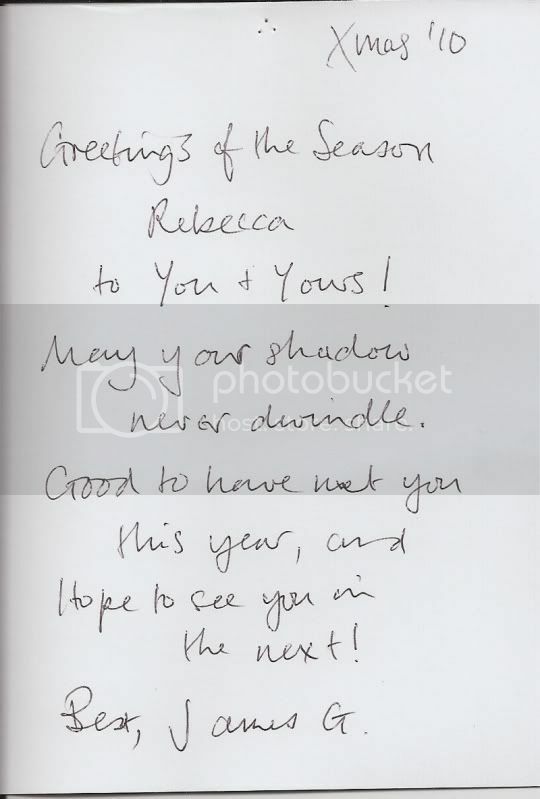 That's a photograph of the card maker's own shadow. I have a photo I took of my (ex) husband and I in Rome, of us as two shadows on sunset splashed pavement. Never made it a card, though. Too late now.. I like this one too - this was an e-mail Christmas/new year greeting I got. 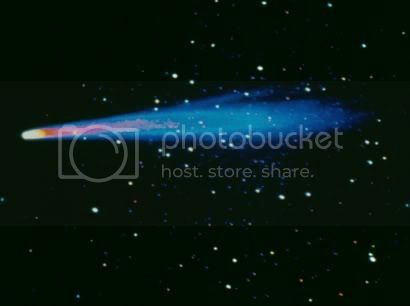 It is very meaningful and comforting to me as it is from someone I work with to whom I had only briefly mentioned once months ago, how comforting the night sky, stars and moon had become since my dad had died, as I felt him close to me each time I looked up and saw the light in the sky, in whatever form at night. I was touched that he remembered. Thankyou so much for the Yuletide greetings and photo book. Most impressive. I have a camera but the only time I wanted to use it the battery was flat! so I gave up-. Term ends tomorrow, still only nine weeks to half term. I do enjoy the job but prefer the students to be absent. Don't you just love them. I have just installed a new shower, it does not leak, can life get any better. As per fathers and their passings, mine joined Abrahams rather overcrowded bosum 15 years ago and my brother seven years ago. Both were, if considered from a certain perspective, blessed releases. I like to think that the Big G called a halt at the appropriate civilised moment, one was turning into a vegetable with no future and the other had MS. I hadn't seen my brother for a while, he lived in Poland, but shortly after he died we met in a dream and said our goodbyes. In my family belief in the afterlife is very strong, in fact I have a lot of trouble at funerals etc as I don't believe in death as a state at all and find pretending and playing the game tedious. My mother (85) is looking forward to crossing over as various people/ relations with sight have told her about all those waiting for her to come. If your father is now one with the cosmos and you see him in the moon good for the both of you. As Don Juan said to Carlos Castaneda " Now I will become as dust on your road, but now and again I may get in your eyes." All best wishes for the next year. Oh, that is wonderful. Gordon is a person I'm glad to know about. On students not being there (heh), designing was often easier if clients would just brain up. I kid of course. Mostly. Oh, Jane didn't object, I just thought better of posting a photo of her. Bad osso. I see I was being petulant. More bad. Oy vey. A long long long time friend used to illustrate for Mattel, but also, before that, did ink drawings for (I'm trying to remember) a neurosurgeon's anatomy book and a lot of paleontology drawings. I have a neat children's drawing by her, but ... it's not a card as such. And I've three color ink on rice paper drawings by a tattoo artist from Mongolia.. again, not in card form. Some of these things are sentimental for me, but also pretty expressive art. Me too. We have an hour and a half for lunch every day and it's always a more interesting experience the days Gordon's there. Lovely, kind, funny, intelligent guy AND he likes, plays and sings bluegrass! Yeah - that's a joke in a joke as we work in a prison, so there is no half-term and the students are ALWAYS there - they have no choice.